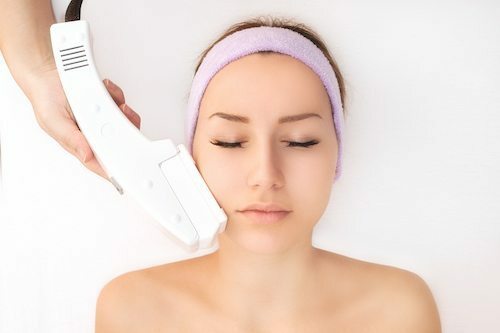 Laser photo rejuvenation, also known as photofacial, uses intense pulsed light (IPL) to restore your more youthful-looking skin, especially after sun damage. 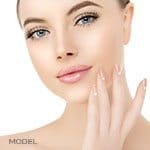 Laser Photo Rejuvenation treatments are intended to decrease facial redness, reduce pore size, lessen the appearance of pigmented spots, and improve skin texture and fine lines. What Does Laser Photo Rejuvenation Help Improve? Laser Photo Rejuvenation treatments can eliminate red facial veins and flushing, improve acne rosacea, treat irregular pigmentation, dark sun spots, and reduce fine facial lines and wrinkles. Your face, neck and hands can all be treated with Laser Photo Rejuvenation. Ideal candidates would be suffering from sun damaged skin, rosacea, facial blood vessels and capillaries, pigmented facial spots and enlarged pores. First, a cool gel is applied to the treatment area as a coupling agent. Generally no local anesthetic is necessary, since treatment is non-ablative. A pulse of light is then emitted, administrating treatment. Each treatment session takes approximately 20 to 30 minutes, depending on treated areas. After the session, you may have some redness that feels like sunburn, but you may otherwise return to your regular activities. Final results are dependent on the patient and their commitment to the regimen recommended by Dr. Buckley. For the best results, patients generally undergo a series 3-4 Laser Photo Rejuvenation treatments. 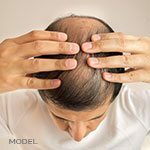 Treatments are administered approximately every 3-4 weeks. After one or two treatments, your skin will have a more even tone and a smoother look and feel, sunspots will start to fade and pores will become less apparent. Fine lines and wrinkles may soften over time. Patient with acne rosacea will see a reduction in facial redness after each treatment. All improvements continue with each treatment.